Feeling disorganized? Construction Projects not flowing together? Facing communication challenges on projects? Then you may be reading this to find out if Project Management software is a solution to your problem(s). The good news is that you have grown your business enough to need organizing. The bad news is that there are so many software options that claim they will help you get organized. You may also be looking into how you can setup your own “free”, or low-cost project management system, possibly using Dropbox, Asana or email inboxes in Outlook so that you wouldn’t need a separate solution that costs money. As you do your research, weighing the pros and cons, here are some important questions that should help you filter through the hundreds of Project Management solutions out there. 1. Do I really need Project management software? Is project management software something that you need? Could you accomplish the same thing using an in-house system? Potentially. However, why would you want to waste time building something if there are free project management software solutions out there? But is your company large enough to need a Project Management solution? Even small businesses with 1 or 2 projects can benefit from the organizational, communication, reporting, and document management features that save time. Project Management Software is a secure, maintenance-free, and streamlined solution, developed to help manage projects right out of the box. 2. Do we have the time to learn and implement it? With each new system that you integrate into to your business, there is an associated cost your companies time that will be directly or indirectly impacted by that new system. So, do you have the time to implement new software? Of course, once it is integrated and everyone understands it, the software will help save time. 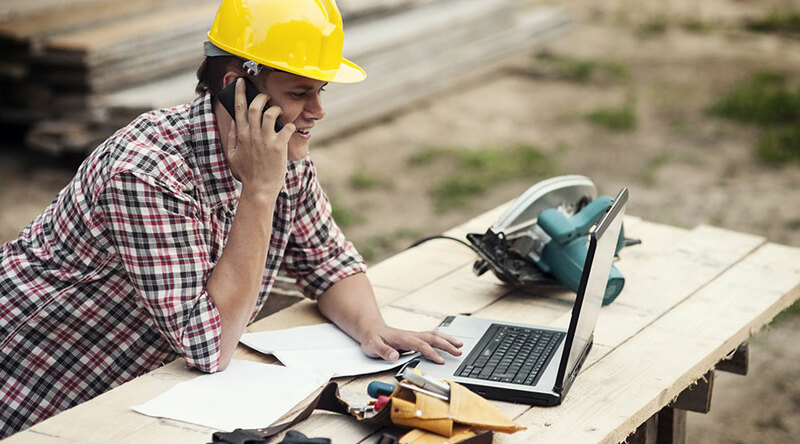 Construction project management software should be simple to setup, and intuitive enough that you have a good idea of where you need to go, and what you need to do. It should also have some good documentation so you can hand it off to your project manager with ease. 3. Will this help my companies bottom line? At the end of the day profit is all that matters. Project management software is designed to help you reduce costs by spending your time more efficiently. Regardless of your company size, a good project management software will streamline your workflow and help you bottom line. Before picking a system, do some research on how various software solutions saved companies time by reading reviews and calling the provider for a free trial or demo. 4. Is it easy to get in contact with their customer service team? Customer support is super important. We all know there are moments where computers and/or software doesn’t cooperate with us. Or there are moments when we are trying to figure out how to do something simple, and we just want to ask customer service how to do it. Will customer service be there when you need them, to help you with the major and minor issues regarding their software? You can usually determine this when you are signing up for their software. If there isn’t a way to get in touch with them quickly, you may want to consider looking elsewhere. 5. Can we test it? Most importantly, can you try out the software before forking over hundreds, or thousands of dollars? Is there a free trial version or demo of the software that you can use? Because it is a cornerstone of your businesses operations, once you have started using a Project Management tool, it will be challenging to leave. That is why a free trial is so important. 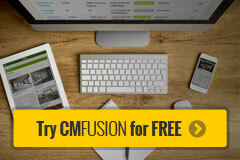 Try CM Fusion, risk free for 30 Days – Your first project is FREE! If you are trying to figure out where to look now, our company CM Fusion offers a free version of Construction Project Management Software. Not to mention, our customers brag about it’s ease of use, so you should be able to sign up and start managing your projects in minutes.